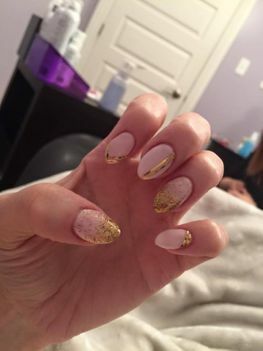 New Hair Style and Nails Feel Great! 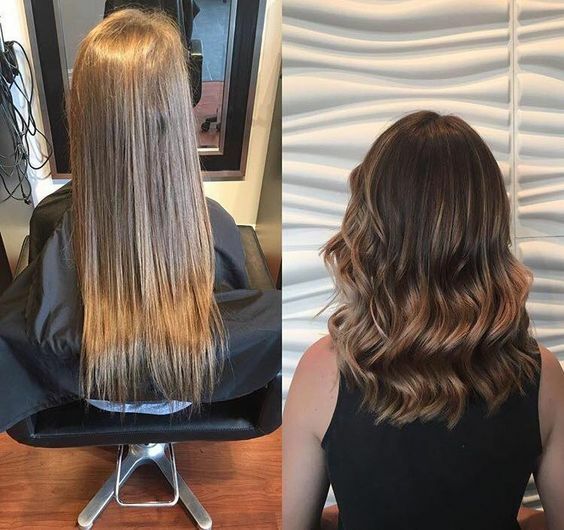 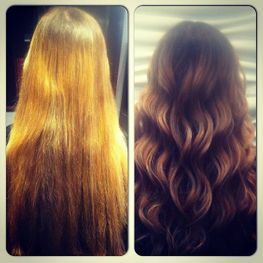 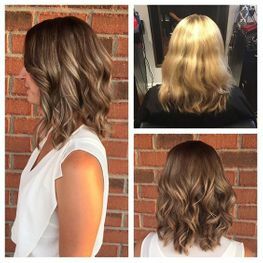 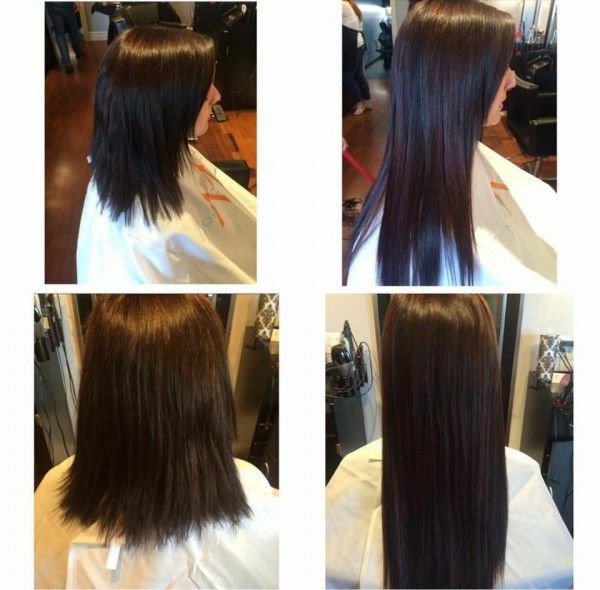 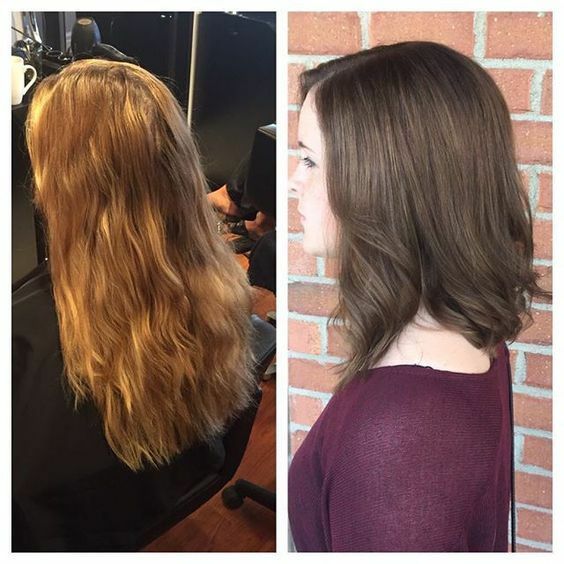 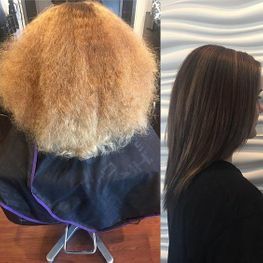 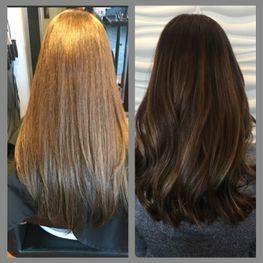 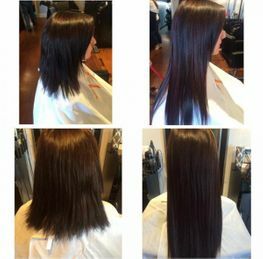 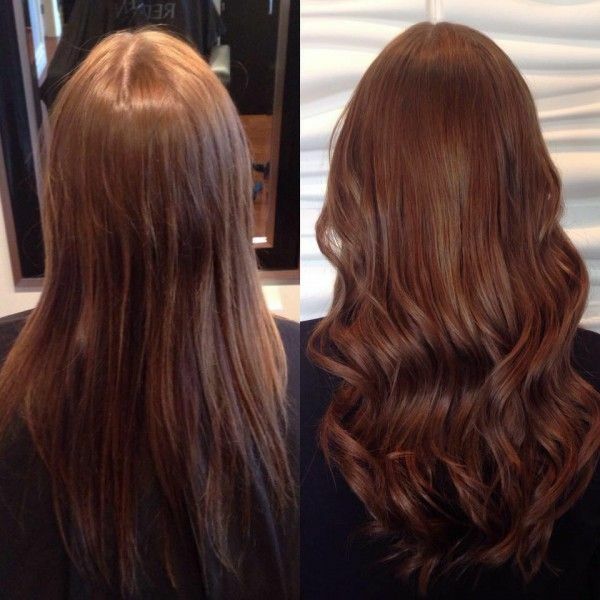 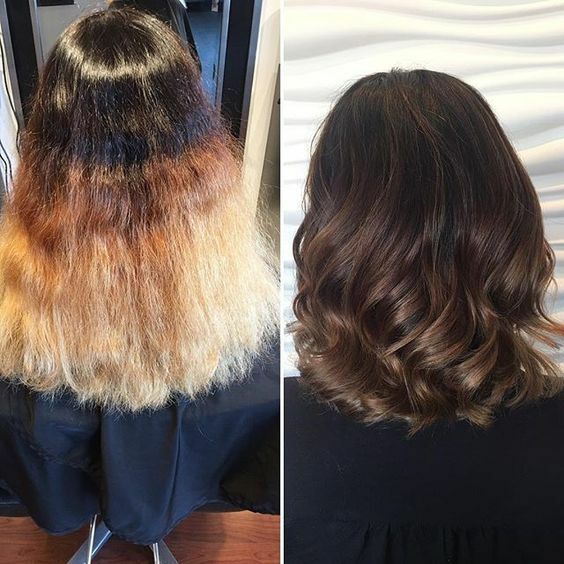 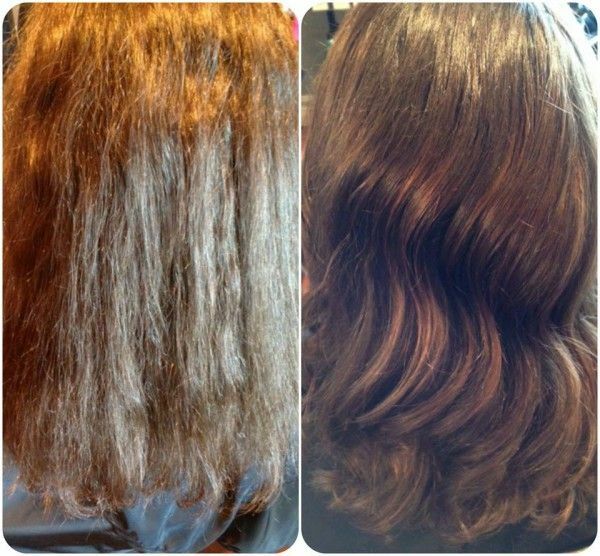 Take a look at some of the amazing before and after color transformations performed by our experienced hair stylists in our salon. 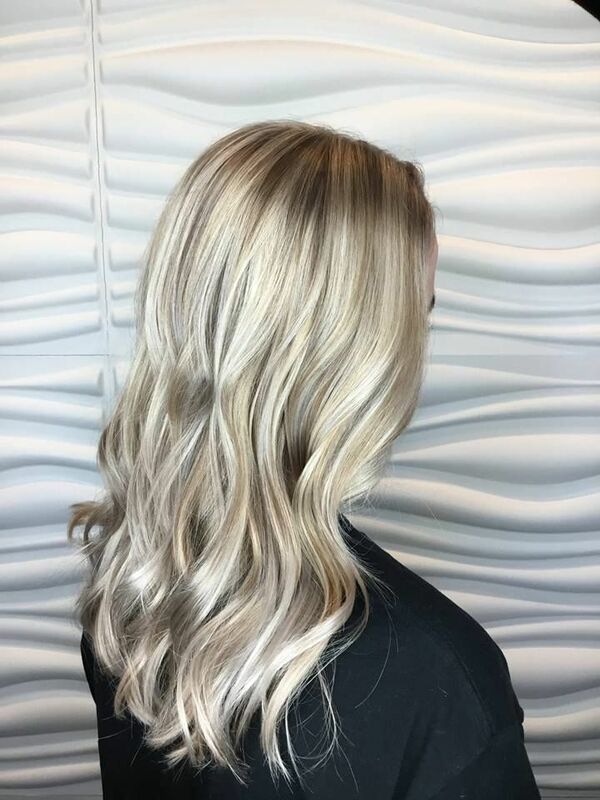 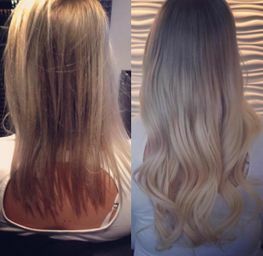 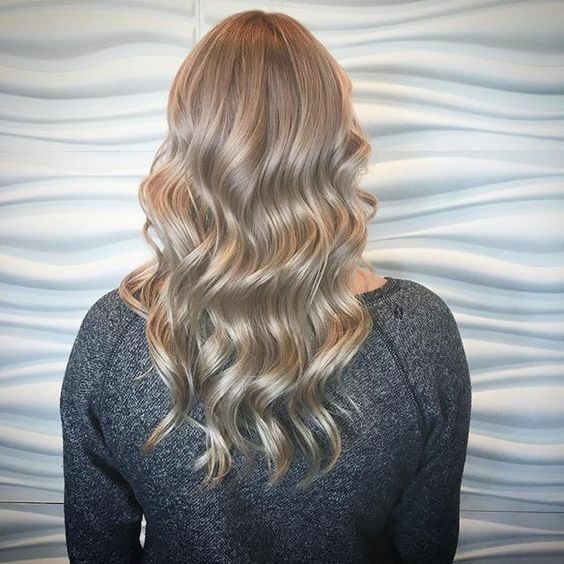 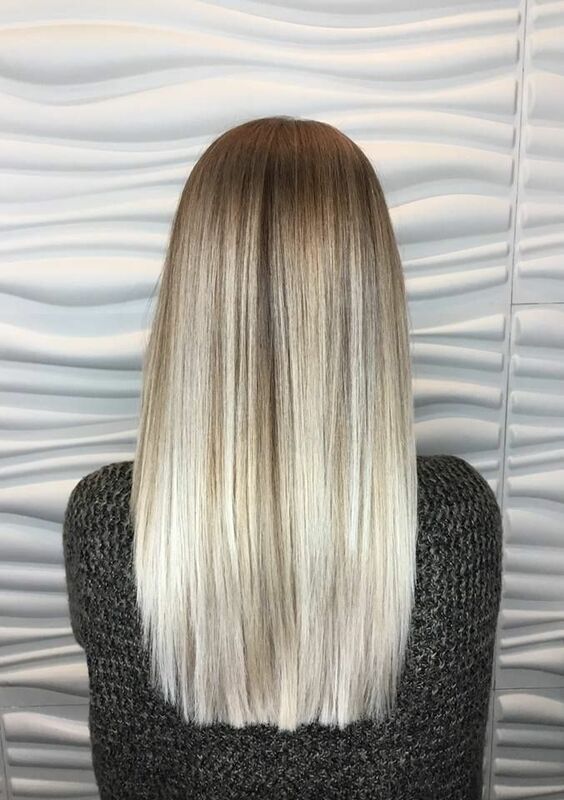 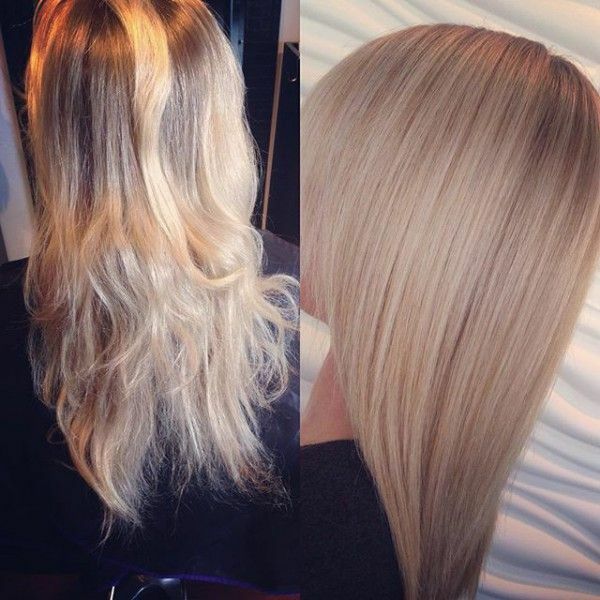 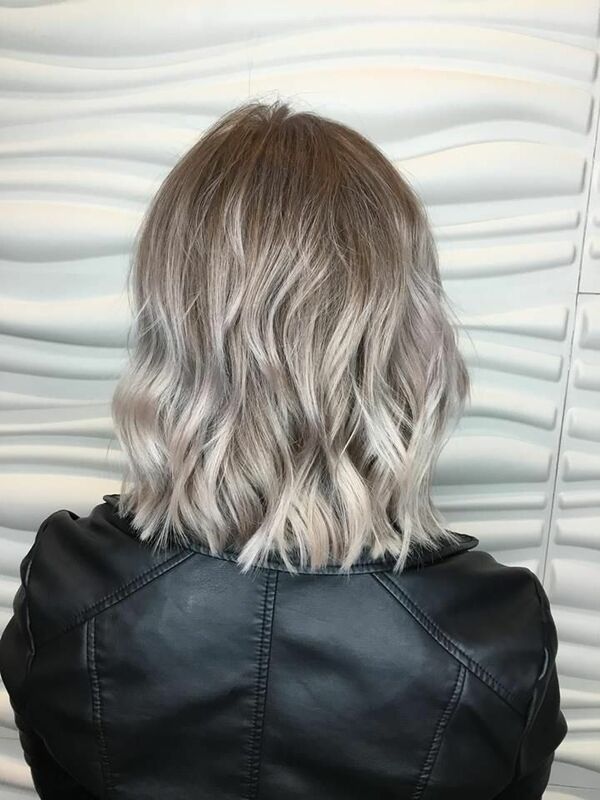 We use Olaplex hair treatment which has been called 'insurance' for your hair and we can totally see why; ask one of our stylists about it on your next visit. 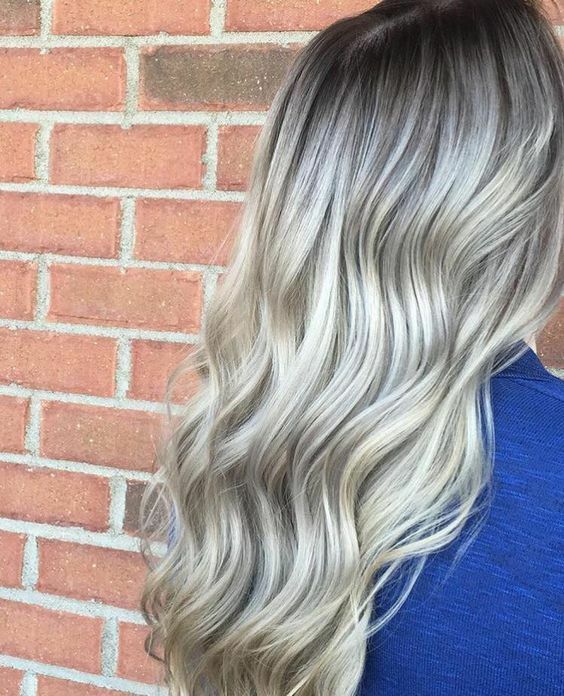 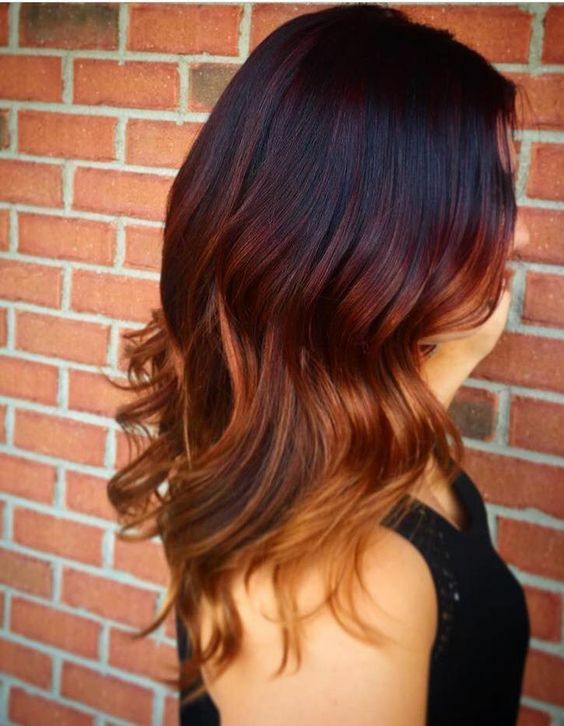 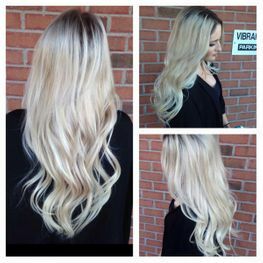 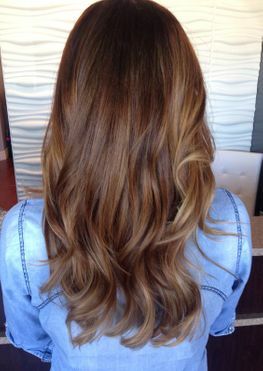 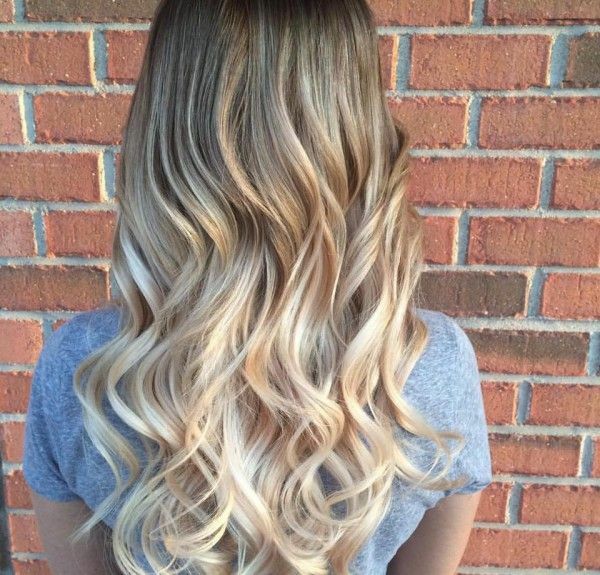 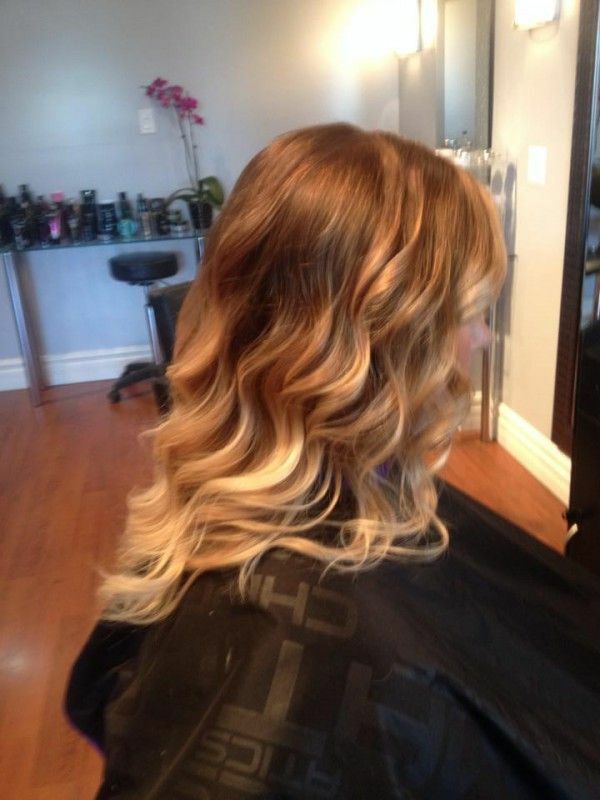 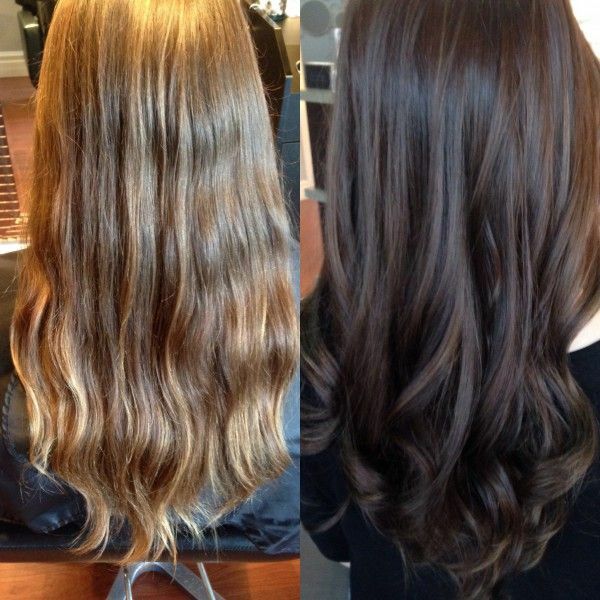 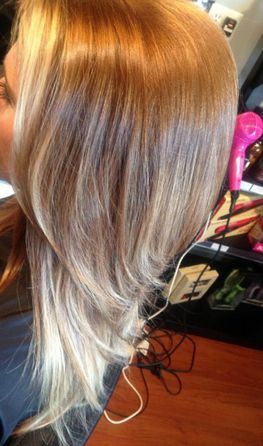 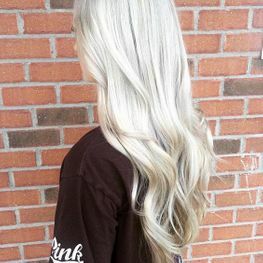 Balayage is a French hair colouring technique. 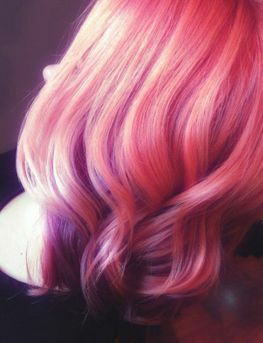 It’s a freehand technique where the hair colour is applied by hand sweeping for a more natural effect. 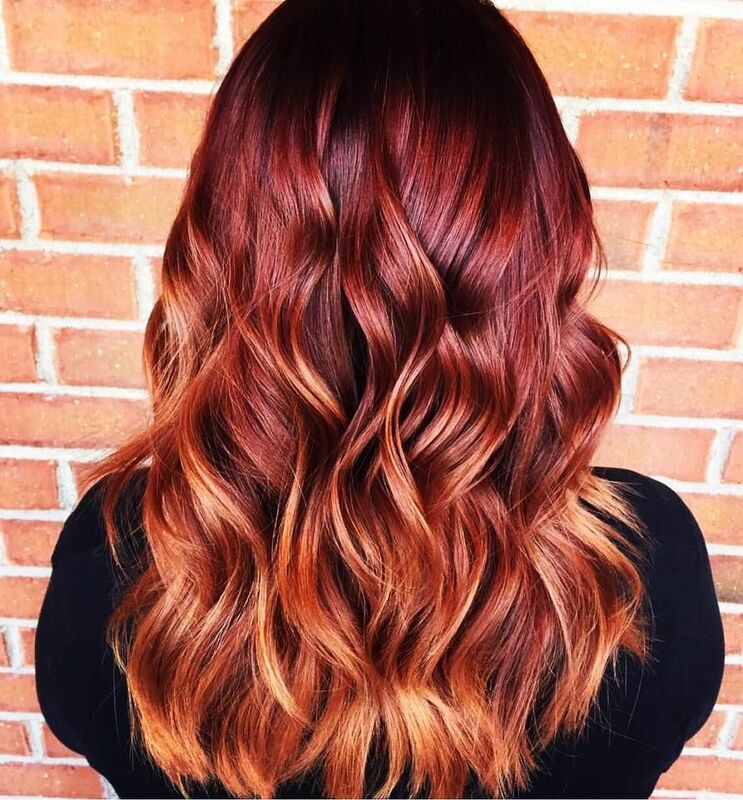 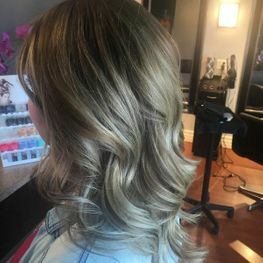 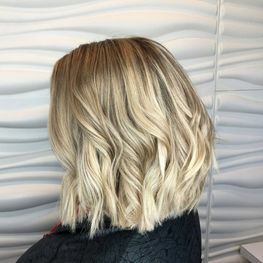 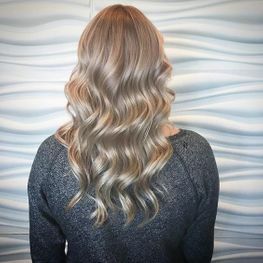 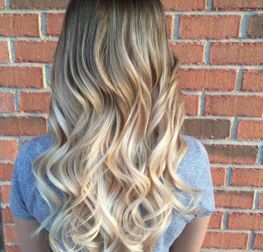 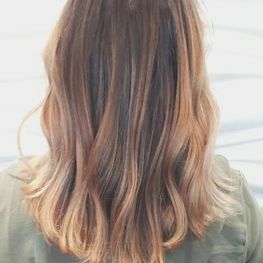 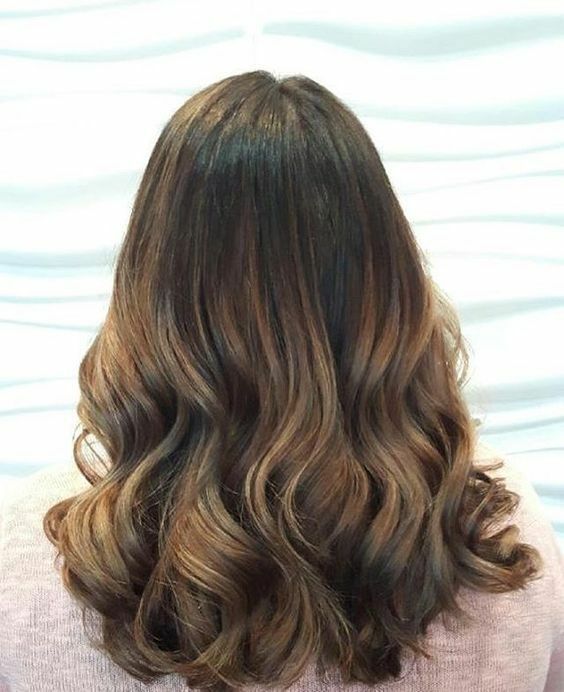 Balayage colouring works on dark or light hair and for most lengths, with the exception of very short hair, with which it can be difficult to see results. 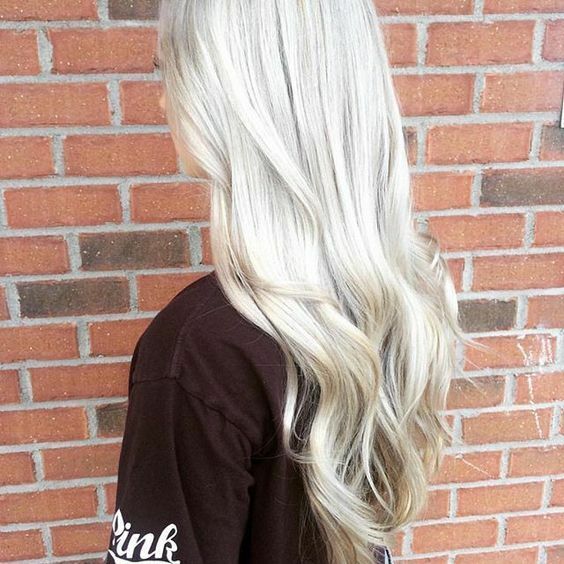 It’s also great for covering gray hair. 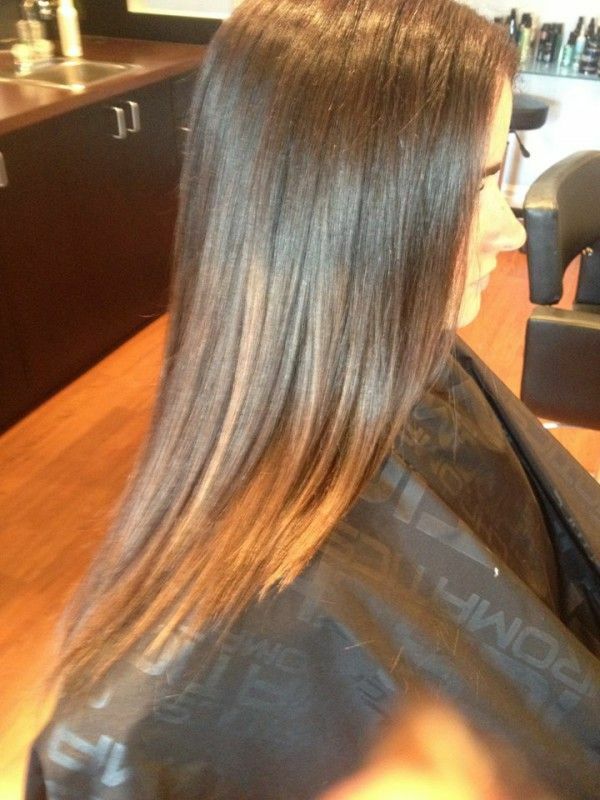 Caring for balayage coloring is simple; just protect it like you would any other color-treated hair. Most importantly balayage leaves your hair with a glowing, healthy finish. Check out our blonde, bronde and red balayage finishes. 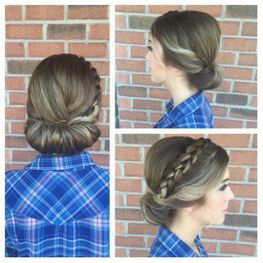 Our Stylists specialize in this technique! 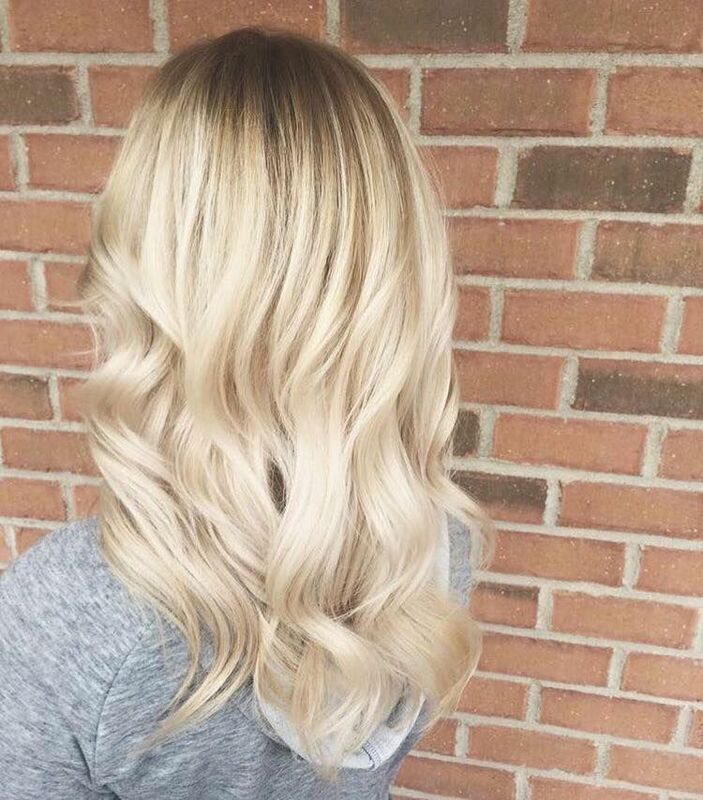 They say blondes have more fun! 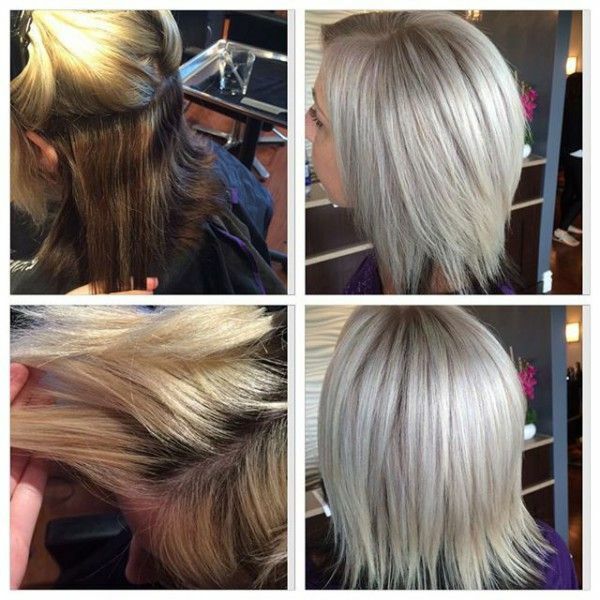 Discover the entire platinum hair colour & dye range from the professionals in hair colour at our Vibrant Salon. 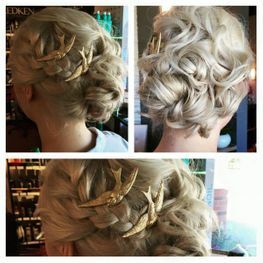 The bells are officially ringing for wedding season! 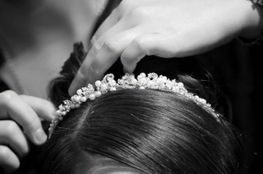 Whether you're a spouse-to-be, a maid of honor, a guest, or even a Pinterest-addicted aspiring bride. 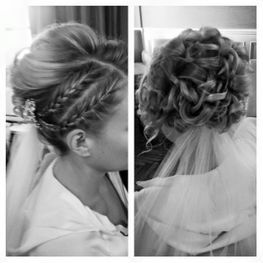 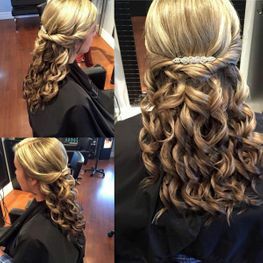 We can give you a matrimony-appropriate look that is sure to bring out your inner celebrity on the big day. 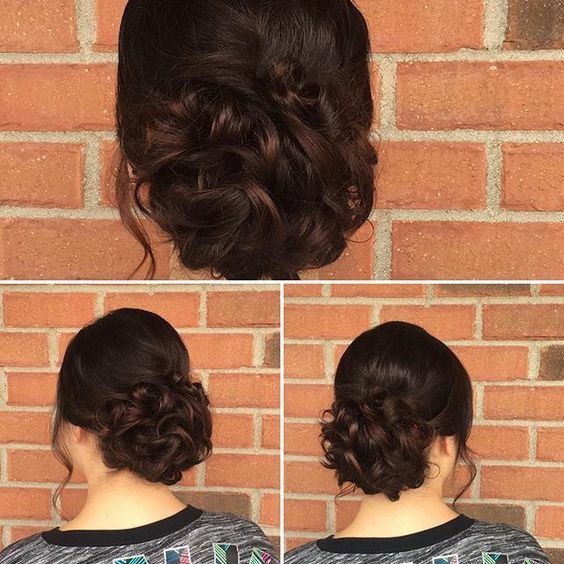 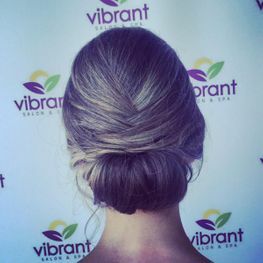 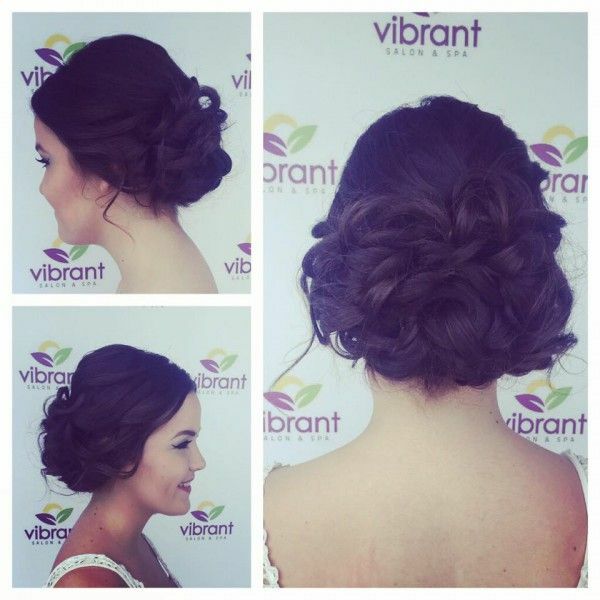 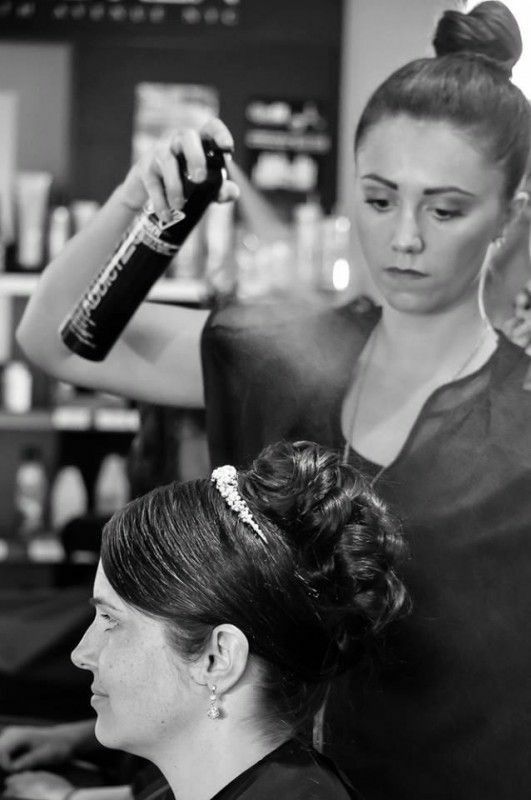 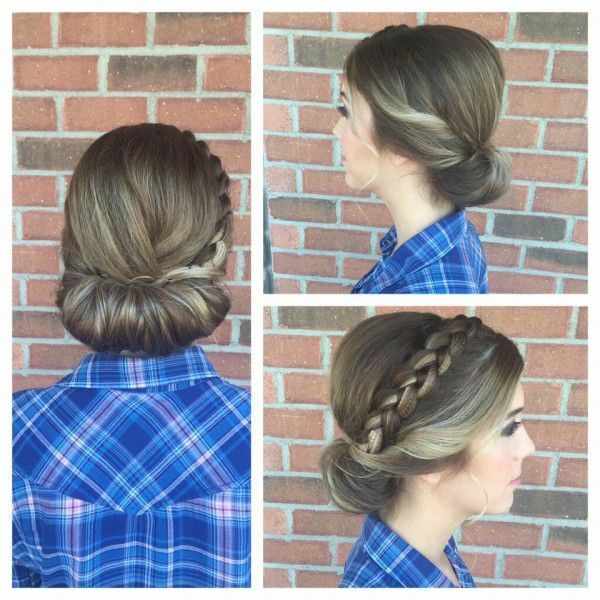 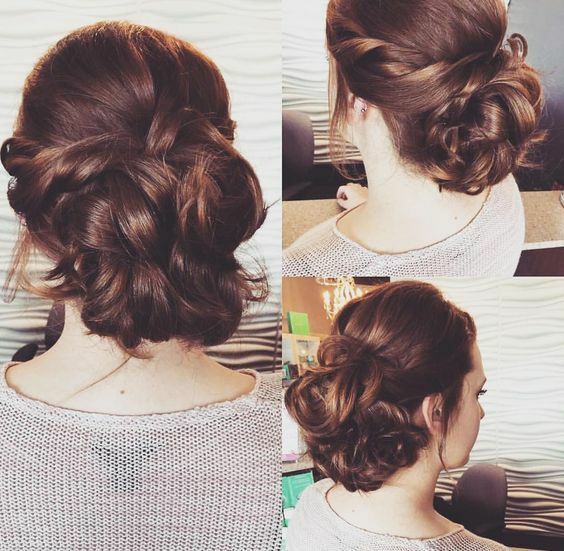 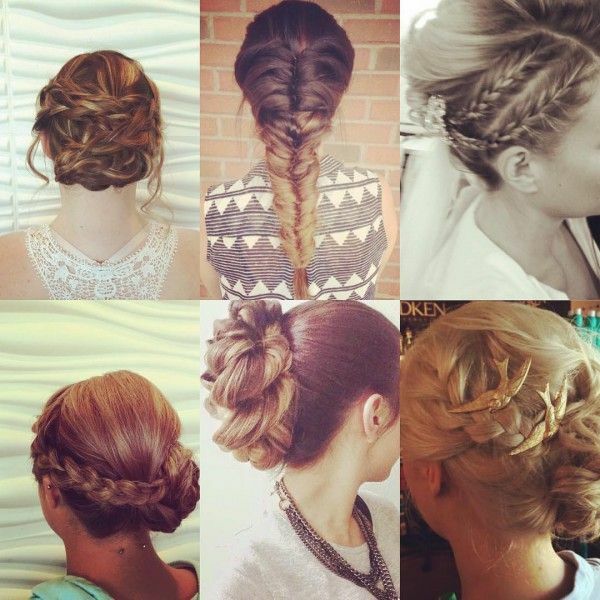 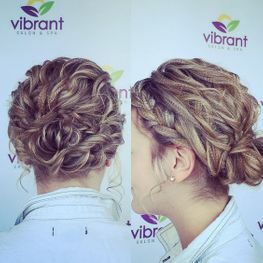 Prom is also a very special time and a beautiful updo may be in order. 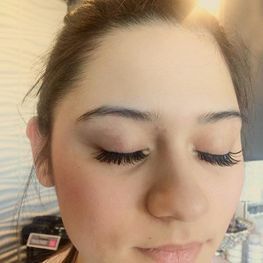 Our professional Estheticians provide makeup applications for weddings, graduations, special events, or photo shoots. 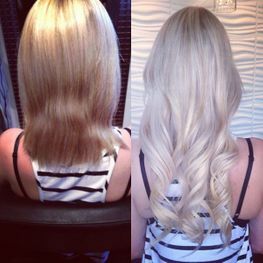 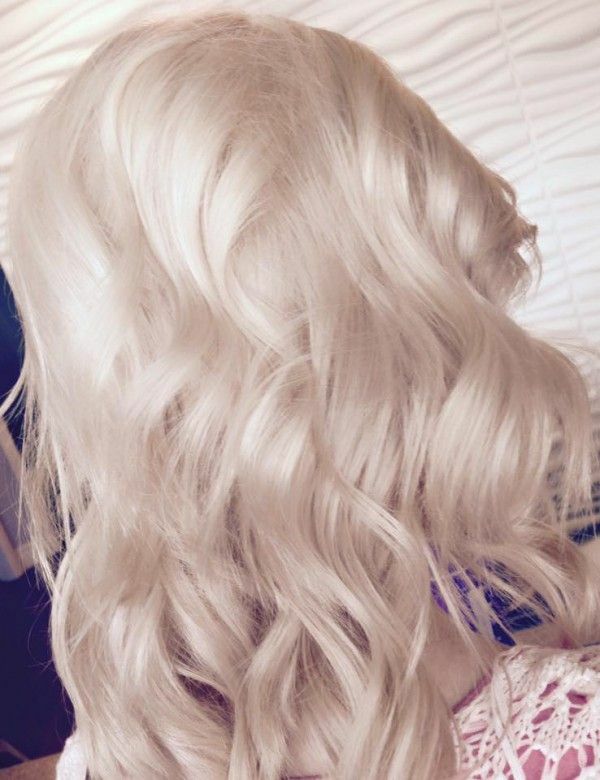 A trendy root extension coming into an icy blonde, finished off with babe tape in extensions. 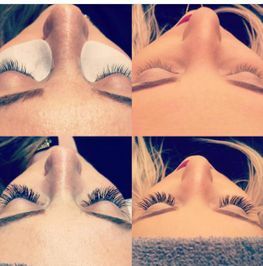 Create beautiful eyes so you look and feel gorgeous everyday. 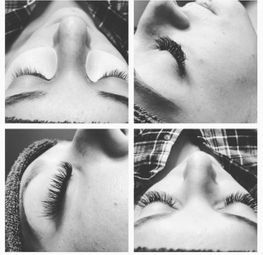 Fuller and longer lashes enhance your beauty, creating that perfect first impression. 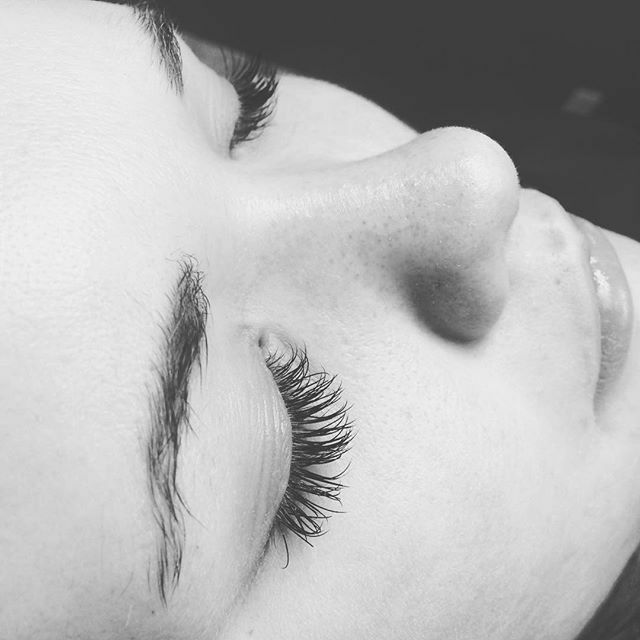 Extremely natural, customized to give you your desired look. 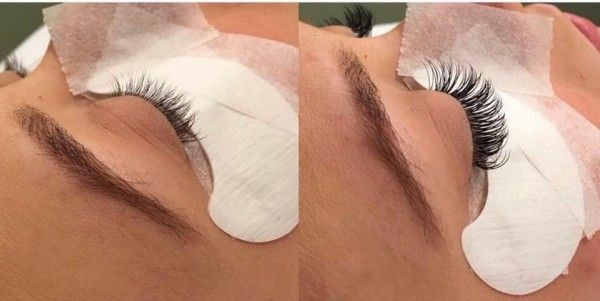 There's no need for mascara or eyelash curler ever again! 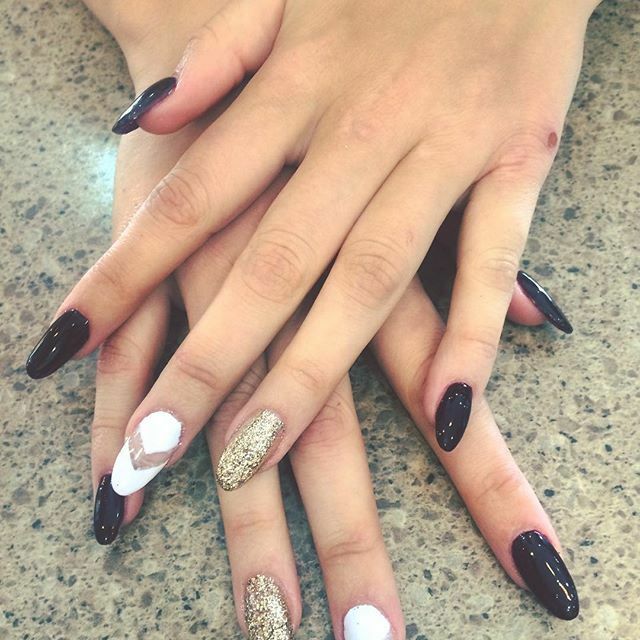 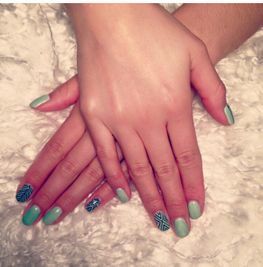 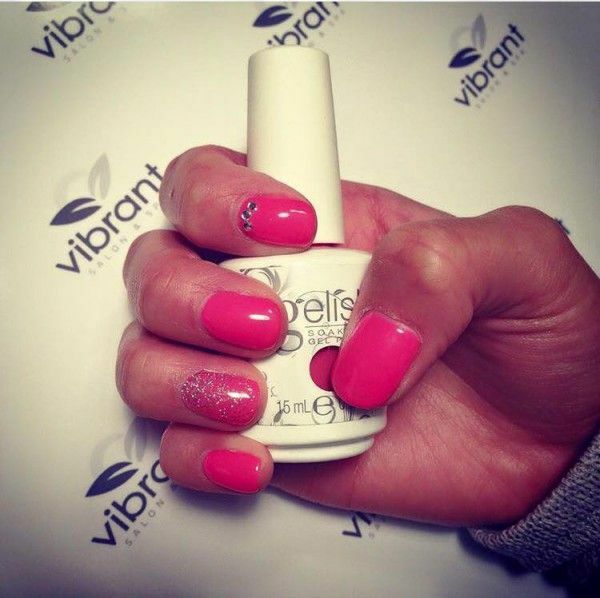 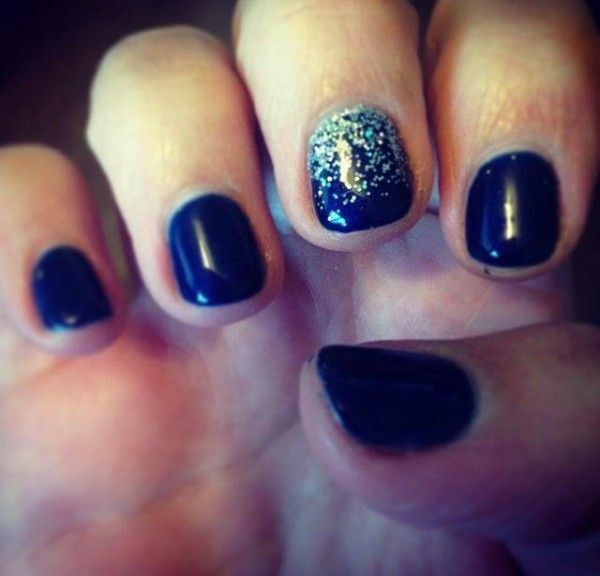 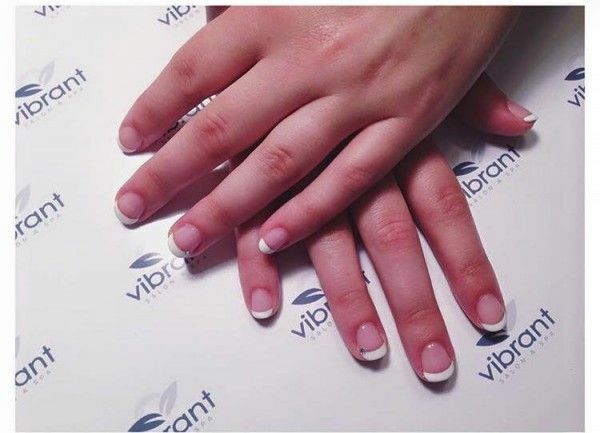 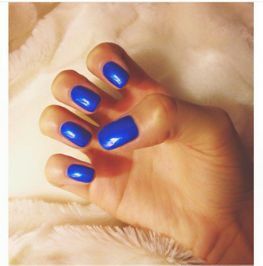 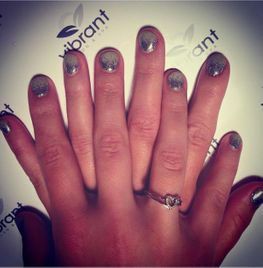 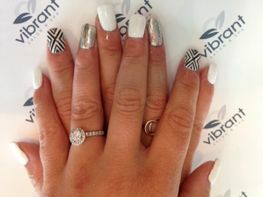 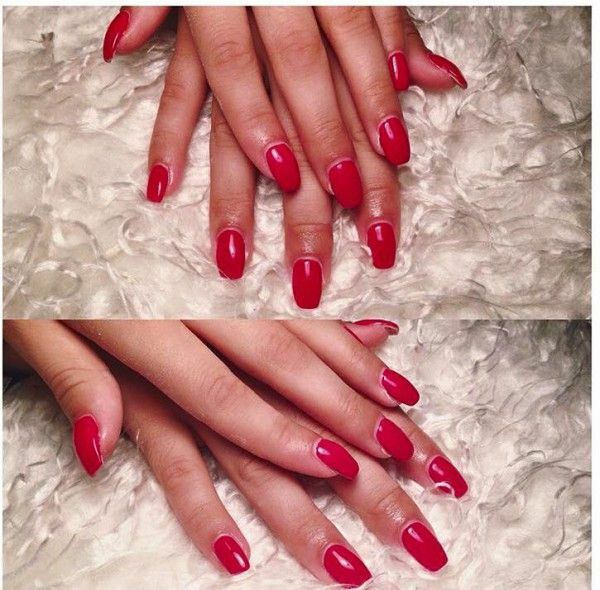 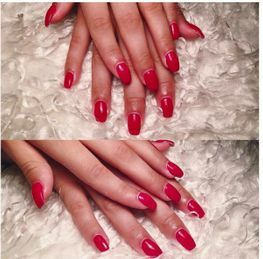 How about a nice up to date, trendy gel nail manicure at Vibrant Spa! 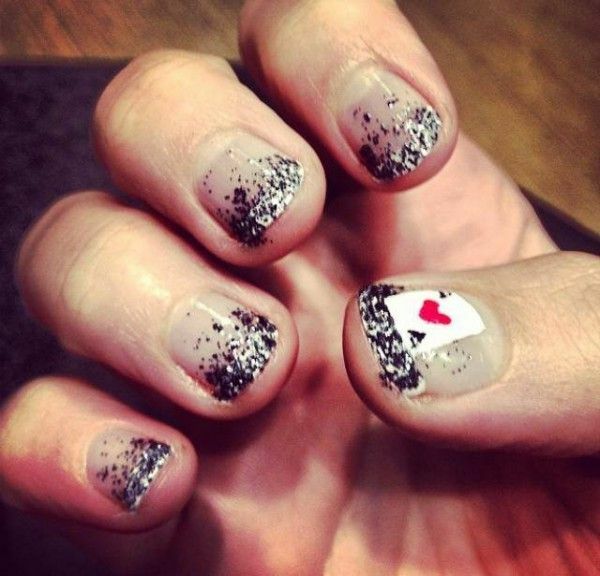 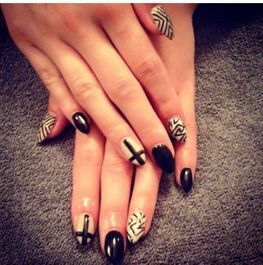 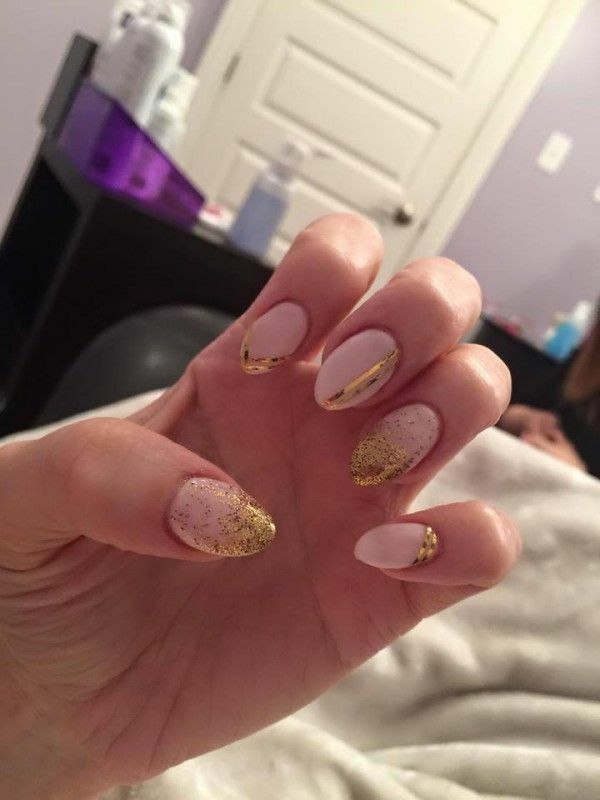 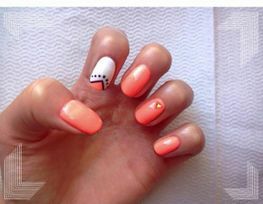 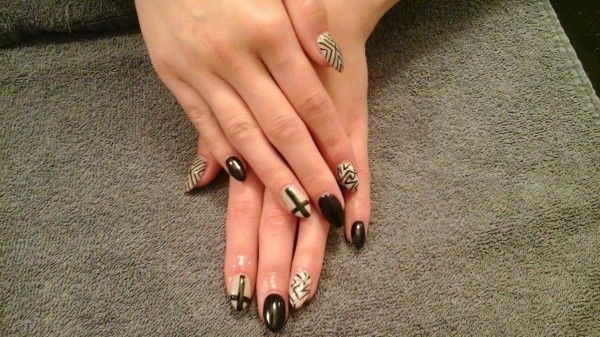 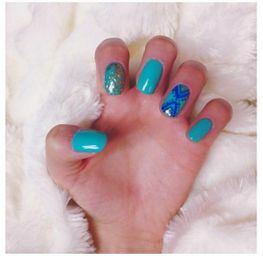 Add a bit of Nail Art for that special look. 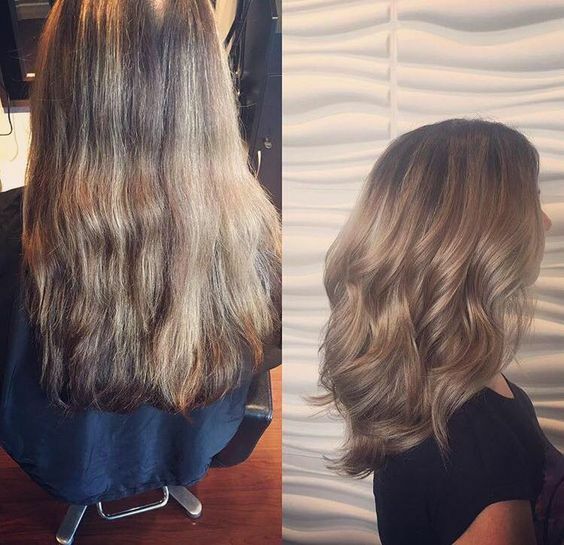 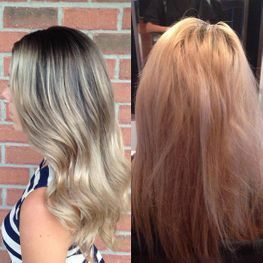 This hair colour correction involved removing existing boxed colour and transforming the hair color to this beautiful silver blonde! Here is a beautiful copper/red for fall. 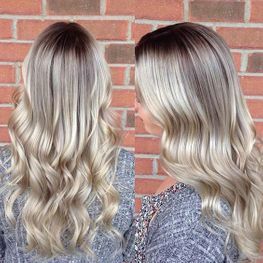 These tones are very popular this season. 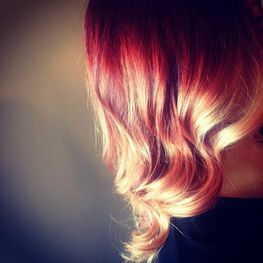 Adding red is a great way to change up your color, whether it be an undertone of red added to your brown, some foils to add some dimension, or an all over vibrant change. There are many different variations as well. 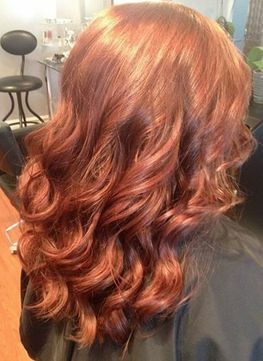 This is a warmer red, but red/violet tones can be a great option for cooler skin tones. Beautiful red ombre done using Redken colours.